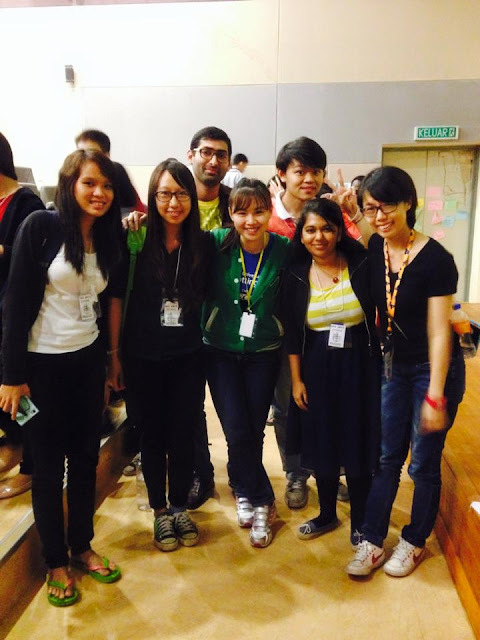 It was my first AIESEC conference, joining as EP exchange participant. How's the feel? was a great pleasure to get to know so many people and be inspired by them. They're really awesome. The real aim for being there was actually to know more about Vietnam and what I got to prepare, and what should I do and how should I plan my project. But I gained more than that. I'm not a good leader I must say, but I like being in group and events, maybe that explained why Im an ENFJ (Extrovert, Intuition, Feeling, Judgement) personality type, but when I did another similar test, it stated otherwise...ESFP (Extrovert, Sensing, Feeling, Perceiving. [interesting test, can assessed online] Thing goes same today for another type of personality test and I am a blended of 2 types... Auditory and Kinaesthesic. Now I feel like I am more like a divergent. It means I don't really know myself well or means Im more flexible than I can imagine? :') I really eager to know. This is one of the reason Im joining AIESEC without hesitating. It troubled me most only when selecting which program to join [not much options but idk why is it so hard for me to make a decision :/] Honestly Im still that kind of girl who always got myself into a dilemma easily even when only 2 options are available. Other's advices are always imp, and even when I already know the answer, I need confirmation. They said this is some kind of lacking of confidence act, I guess so. It takes longer time for me to complete the personality test but actually it shouldn't be that hard when dealing with questions that asked about ownself. Goshhh why. There's so many things I want to find out, especially what's in me. Nice meeting all of you and thanks lot for the sharing I really like it. and one more surprise I got was bumped into Estee Tan loll that little girl who I used to meet when I was in secondary school! and we were in the same group. This world is small! She's also a brave girl. May your journey bring you a million memories that's worth sharing for a lifetime! We were giving options in accommodation, to chose whether to stay in hostel (with other exchange participants) or get a host family (not necessary will get it even though you want). I was in dilemma again but I chosen host family in the end. Okayy lets hope everything is perfectly fine haha. Settled passport on 11th May, filled in pre-arrival questionnaire and other information forms, signed and I was matched. My passport was made in Wangsa Maju Imigresen Office, it was really an efficient and fast one. Took around 2 hours to make it done, RM200 for 5 years. *clap clap* This is my first time leaving Msia for so long, there's a lot more question marks spinning around in my head when talking about traveling abroad - but what annoyed me the most now is that thesis stuffs. I tried to love my thesis already. Yeap a little bit. Can't wait to go back home I'm missing my mom now. Happy belated mother's day, many loves to you as I confessed. and I'm missing my grandma too. Love you much much. Dear ly jiayou for your thesis!